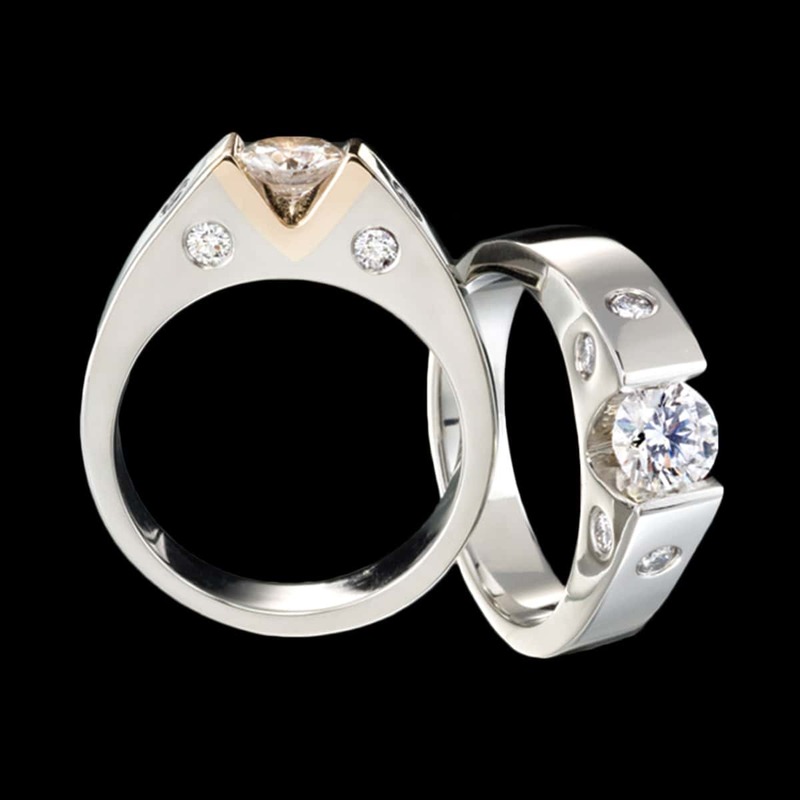 Omni diamond ring is sleek and refined. A stylish token of love. This unique ring is available in several gorgeous variations. The picture shows a .50 carat round center diamond and .25 carats total weight of flush set accent diamonds in a 14kt white gold setting. Looking for the perfect center stone? We offer GIA expertise and competitive pricing for diamonds and colored gemstones. If you already have a center stone we can set it for you. To purchase, call (949) 715-0953 or use our contact form below.